Statement of Purpose: The purpose of this Agreement is to allow for the sharing of information among the School District and the Agencies prior to a student’s adjudication in order to promote and collaborate to improve school safety, reduce alcohol and illegal drug use, reduce truancy, reduce in-school and out-of-school suspensions, and to support alternatives to in-school and out-of-school suspensions and expulsions which provide structured and well supervised educational programs supplemented by coordinated and appropriate services designed to correct behaviors that lead to truancy, suspension, and expulsions and to support students in successfully completing their education. 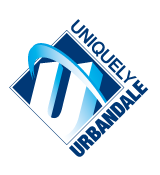 Identification of Agencies: This agreement is between the Urbandale Community School District (hereinafter “School District”) and (agencies listed) (hereinafter “Agencies”). Statutory Authority: This agreement implements Iowa Code  280.25 and is consistent with 34 C.F.R. 99.38. 2. Prior to adjudication, information contained in the permanent record may be disclosed by the School District to the Agencies without parental consent or court order. 3. Information contained in a student’s permanent record may be disclosed by the School District to the Agencies after adjudication only with parental consent or a court order. 4. Information shared pursuant to the agreement shall be used solely for determining the programs and services appropriate to the needs of the student or student’s family or coordinating the delivery of programs and services to the student or student’s family. 5. Information shared under the agreement is not admissible in any court proceedings which take place prior to a disposition hearing, unless written consent is obtained from a student’s parent, guardian, or legal or actual custodian. 6. This agreement only governs a School District’s ability to share information and the purposes for which that information can be used. Other agencies are bound by their own respective confidentiality policies. Records’ Transmission: The individual requesting the information should contact the principal of the building in which the student is currently enrolled or was enrolled. The principal will forward the records within 10 business days of the request. Confidentiality: Confidential information shared between the Agencies and the School District shall remain confidential and shall not be shared with any other person, unless otherwise provided by law. Information shared under the agreement is not admissible in any court proceedings which take place prior to a disposition hearing, unless written consent is obtained from a student’s parent. Agencies or individuals violating the terms of this agreement subject their entity represented and themselves personally to legal action pursuant to federal and state law. Amendments: This agreement constitutes the entire agreement among the agencies with respect to information sharing. Agencies may be added to this agreement at the discretion of the school district. Term: This agreement is effective from September 1, (or other date). Termination: The School District may discontinue information sharing with an Agency if the School District determines that the Agency has violated the intent or letter of this Agreement.